I've been researching book-related gift ideas this holiday, and I have found some really cute stuff on Amazon. I know many of you are in book clubs or might want inexpensive ideas for library volunteers, so I thought I'd put together a little gift guide. If you are the spouse of a book-lover, you will score big points with some of these gifts! I saw several that I would love to get for myself! I seriously laughed out loud when I saw this shirt! For those of you who aren't book lovers, Pemberley is Mr. Darcy's estate in Jane Austen's Pride and Prejudice. If you are buying for an English teacher or librarian, you can't go wrong with this one--I promise you, they will get the reference. Get these super-cute Jane Austen socks to go with the "Straight Outta Pemberely" t-shirt above. There are tons of literary quote t-shirts available on Amazon, Etsy, and other sites, but I thought this one was super-cute. Even more special is the fact that I've not seen this one everywhere...yet. Several colors to choose from, and it also includes both a men's and women's cut. 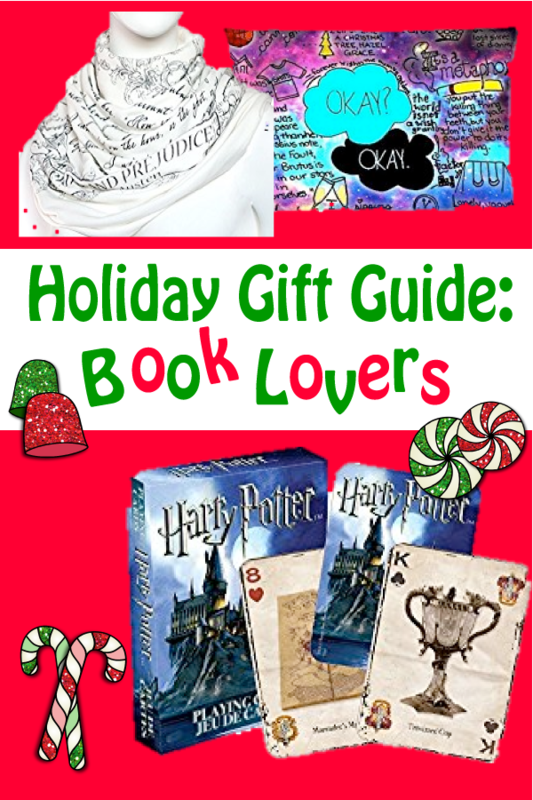 This would be a cute gift for a tween book-lover. Made with flexible aluminum in sizes 5-15. It's also hypoallergenic and tarnish-resistant. There are other "One Rings" out there, but this is the only one that is officially-licensed. It is meant to be worn as a pendant, so it comes with the chain pictured. What Tolkein fan won't love one ring to rule them all? I just have no words for the awesomeness. Comes in several colors. Snitches be cray, indeed. Comes in all four houses; one size fits all. My son has one of these in a red Angry Bird style. He's no stranger to crazy hats, and he wears them proudly! I will say that his Angry Bird hat keeps his head and hands warm at the bus stop on cold Suzhou mornings. If you don't like the Winnie the Pooh style, there are several others, including a "Red Parrot," which looks very similar to my son's Angry Bird hat! There's also a Tigger hat, but it looks like that one is only for kids' sizes. I've seen many of my students over the years have Harry Potter-themed birthday parties. The recipes in this cookbook could be great treats for little Wizards and Muggles celebrating another year. 25 individually-bagged English tea bags imprinted with literary quotes. You could buy this and break it up into smaller gifts, stocking stuffers, gift toppers, or to accompany gift cards. We have serious difficulty scoring these in China, so I have to buy one or two when I go home in the summers. These are great for home, classrooms, or libraries. I know my students have loved them! This is a standard card deck that does include the Jokers. All 52 cards feature different images. Includes a whopping 600 trivia questions about Harry Potter. There are tons of literary coloring books available, so I chose only one to represent. And what's more fun to color than Dr. Seuss? Pair it with 50 pre-sharpened Crayola colored pencils. Wrap it all in some colorful tissue paper and put it in this reusable Dr. Seuss tote bag. Add an Oh! The Places You'll Go! tumbler or mug, and voila! A fun, unique gift for the Dr. Seuss fan in your life! This set contains two sets of 50 different literary quotations, including: Virginia Woolf, Edgar Allan Poe, T.S. Eliot, D.H. Lawrence, Nathaniel Hawthorne, Langston Hughes, Lewis Carroll, Frederick Douglass, and many more. You could gift the entire set, or purchase some cute frames and give the framed bookmarks as gifts. All the postcards are black and white, so a silver or red frame would look very pretty. I seriously cannot believe I found this gem! Why don't we have more books made into duvet covers? Comes in full, queen, and king. The same company also has another duvet cover that reads "It's a good day to read!" LOVE LOVE LOVE! This is available in 4GB, 8GB, or 16GB. In general, I always recommend getting the largest amount of storage you are able (in this case, 16GB). It seems there is never enough space. This is a 10" X 13" pillow filled with 40 ounces of organically-grown rice, herbs, and grains. It's scented with sweet lavender essential oils for aromatherapy and can be refrigerated or heated in the microwave for snuggling up with a good book, relaxing sleep, earaches, headaches, swelling, tired eyes, or for icing down a sore ankle. There are lots of designs and sizes available. This is gorgeous! So colorful, and it's perfect for teens who love The Fault in Our Stars. Fill this with gourmet chocolates or coffee and add these cute color-able bookmarks for an easy gift for library volunteers or your child's favorite teacher. Mug includes 24 banned book titles. Dishwasher safe. Holds 12 ounces. Many readers enjoy recording the books they read in a journals (yep, I'm one of them!). This one has guided headings like "Books I've Lent" and "Books I Want to Read," as well as 140 pages to record your books. Be sure to read the Amazon reviews on this one--lots of people have included positive reviews and useful details about the journal. As a librarian and teacher, I do not like forcing kids to use reading logs. But like adult readers, kids who really love to read often do want a place to record their thoughts about the books they read. This one sounds really cute! As readers record their books, the bookworm "eats his way" through the journal. I would have loved something like this as a kid! Looking for something unique for the person who has everything? I'm not really sure what can be done with these, but for the right person, this could be a very unique gift. I seriously doubt they would have this! Hahaha! Yep! Straight Outta Pemberley, y'all!